The only full-Servo spruepicker in the market. 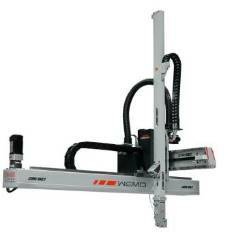 The robot is very suitable for energy-efficient and quick removal of branches and products. The robot can be equipped with vacuum circuit and rotatable B-axis. The use of this robot Servo Technology is many times more energy efficient and more stable than pneumatic low-cost versions. This new linear robot from Wemo is usable as a spruepicker but also as a product handling robot. Thanks to it´s compact and space-saving design, the robot is very suitable for being placed within the existing safety fence of your injection moulding machine. The use of this robot Servo Technology is many times more energy efficient and more stable than pneumatic low-cost versions. This robot is suitable for the removal and stacking of products. The robot is like all Wemo robots with actuators for parallel movements. Suitable for simple to medium complex removal. This very stable Wemo robot is able to take each product after editing, checking and stacking. This robot is characterized by its integrated control panel with full availability of all necessary options, such as B-axis, additional inputs and outputs, etc. Suitable for highly complex removal. 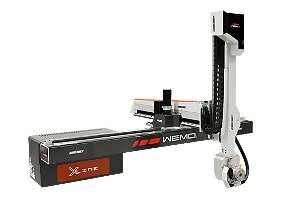 This very stable Wemo robot with free X-axis is able to take each product after editing, checking and stacking. 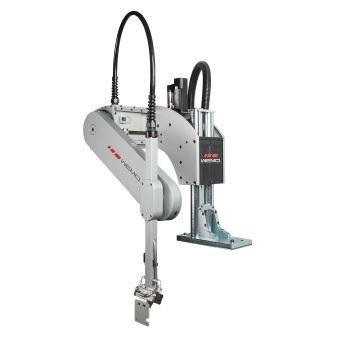 This robot is characterized by its integrated control panel with full availability of all necessary options, such as B-axis, additional inputs and outputs, etc. Suitable for highly complex removal. The High Speed ​​Robot Wemo is unique in its kind, with unprecedented reaction rates, the robot takes products from which the total cycle time can be below 3 seconds. This robot is a proven concept, because he has been around for years in various leading packaging producers. The Wemo High Speed ​​Side Entry robot is very suitable for the removal and In Mould Labelling of packaging products. 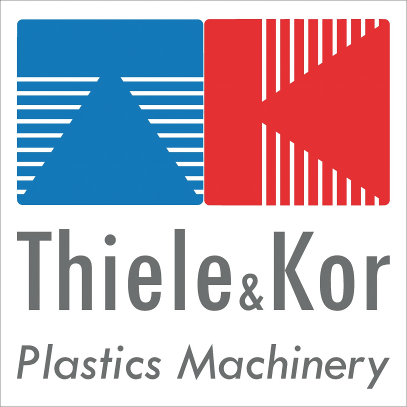 Together with our partner Ronetic we are able to deliver complete turnkey IML systems>. The unique WGS system has all the capabilities to make the most complex gripper. It includes a developed Wemo aluminum profile rail, which is much more stable in the build-up and suitable for high speed. They have also developed the Quick-Lock that can be used to mount a complete gripper in one snap. The complete system WCS is a addition to the Wemo program. It contains all kinds of conveyors to provide good drainage and intermediate storage including the unique Box changing systems. The robot tires are incredibly stable and ensure long life. Safety is the most important in a production environment. It is therefore logical that Wemo can deliver this systems from stock. The system is modular and therefore in any desired position to adjust. The system already complies with the latest CE regulations since 2012.